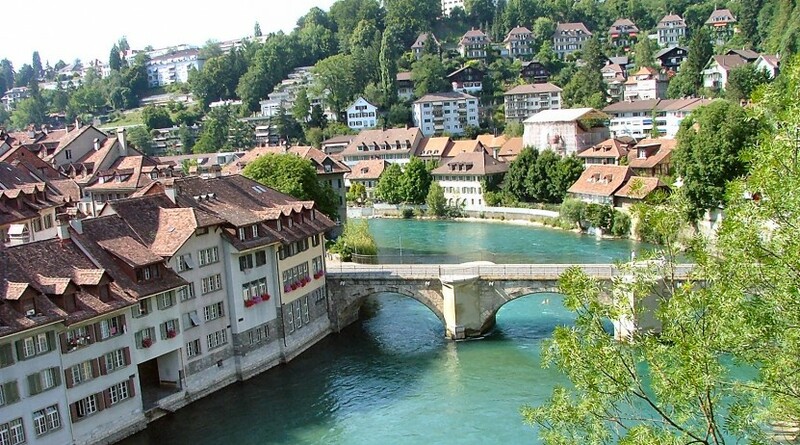 The city of Bern or Berne is the de facto capital of Switzerland, referred to by the Swiss as their (e.g. in German) Bundesstadt, or “federal city”. With a population of 140,634 (November 2015), Bern is the fifth most populous city in Switzerland. The Bern agglomeration, which includes 36 municipalities, had a population of 406,900 in 2014. The metropolitan area had a population of 660,000 in 2000. Bern is also the capital of the Canton of Bern, the second most populous of Switzerland’s cantons. The structure of Bern’s city centre is largely medieval and has been recognised by UNESCO as a Cultural World Heritage Site. Perhaps its most famous sight is the Zytglogge (Bernese German for “Time Bell”), an elaborate medieval clock tower with moving puppets. It also has an impressive 15th century Gothic cathedral, the Münster, and a 15th-century town hall. Thanks to 6 kilometres (4 miles) of arcades, the old town boasts one of the longest covered shopping promenades in Europe. Bern’s most recent sight is the set of fountains in front of the Federal Palace. It was inaugurated on 1 August 2004. Arranging a private jet charter to and from Bern Belp (LSZB / BRN) is straightforward. Bern Belp lies approximately 4 kilometres from the city centre and takes around 10-15 minutes by car, subject to traffic. A private jet charter from London to Bern Belp will take approximately 1 hour 25 minutes in a 6 seat Cessna Citation CJ2 jet, and 1 hour 15 minutes in a 8 seat Cessna Citation XLS jet. Arranging a private jet charter or helicopter transfer with Freedom Air to arrive in style to Bern is simple. The Freedom Air team can be reached on +44 (0) 1275 548001 to book your next trip.